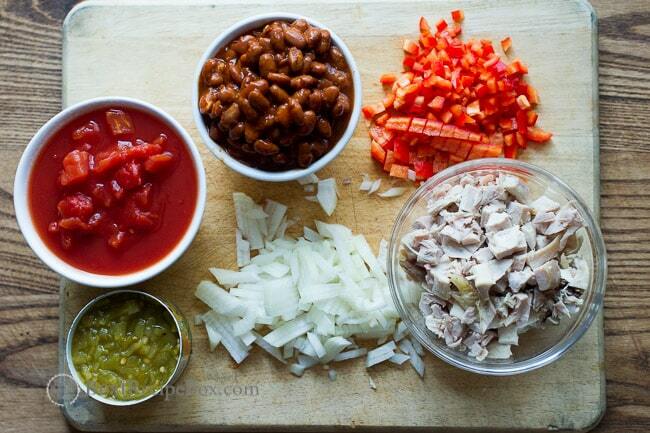 Looking for an easy chicken chili recipe? You’ve found it here and our chicken chili is a crowd favorite! Our last Fresh Chicken Chili recipe is our stand-by favorite and though it takes more time to prepare, the rewards are worth it. 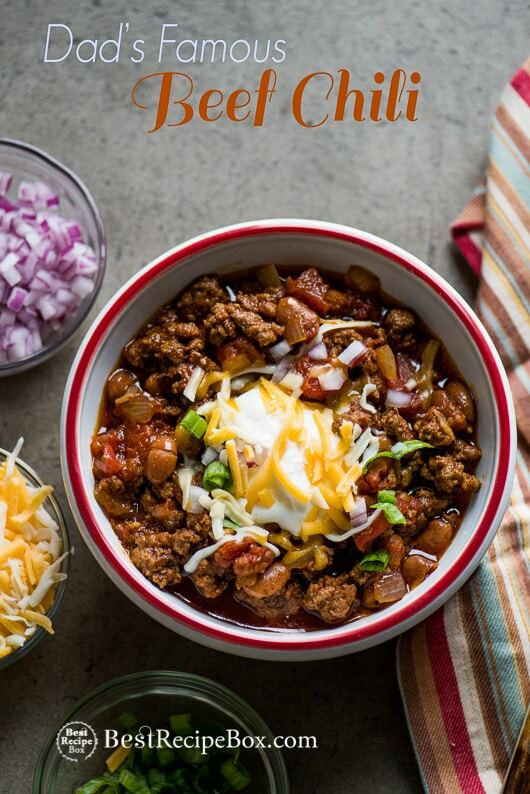 But often times we come home late and exhausted from work with craving for chicken chili and don’t have the energy to wait long to prepare our fresh chili recipe. So we have our own version of an easy and quick chicken chili that’s still wonderfully delicious without sacrificing flavor. Sometimes a quick and easy recipe doesn’t mean that it’s less flavorful, less healthy or that you’re cheating on quality. There are times when everyone is short on time, but still want to have a great home-cooked meal. 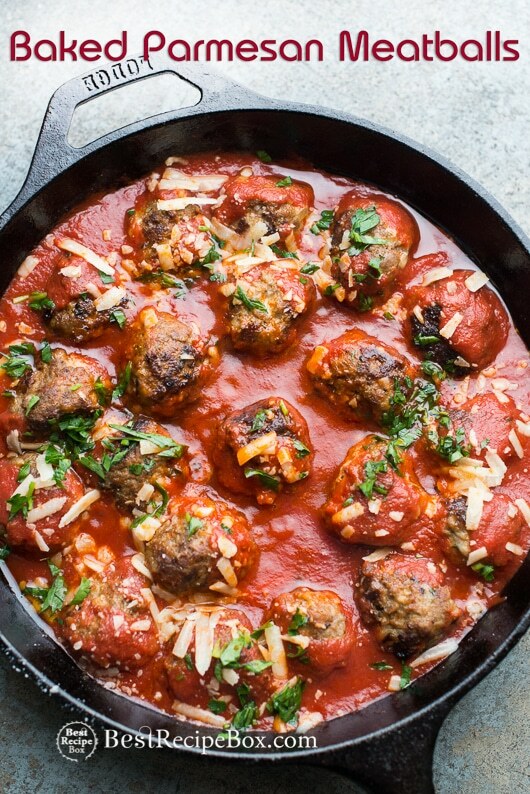 We all need recipes for times like these and that’s why we have a very extensive archive of recipes that are quick and easy, but still loaded with nutrition and flavor. 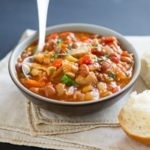 This easy chicken chili recipe is one great example of a dish that’s as good as our fresh chicken chili, but helpful to those on time constraints or with a super busy schedule. As long as we are able to cook and have a great meal at home, that’s all that matters. 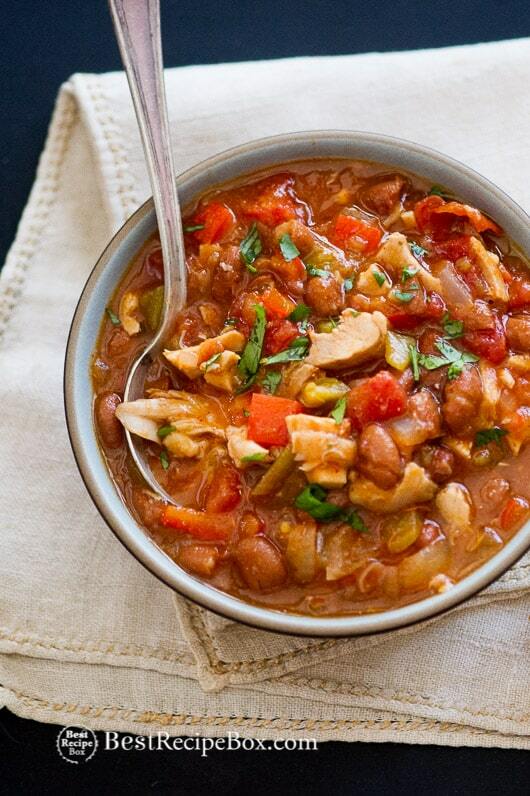 use leftover roast chicken for this easy recipe for chicken chili! 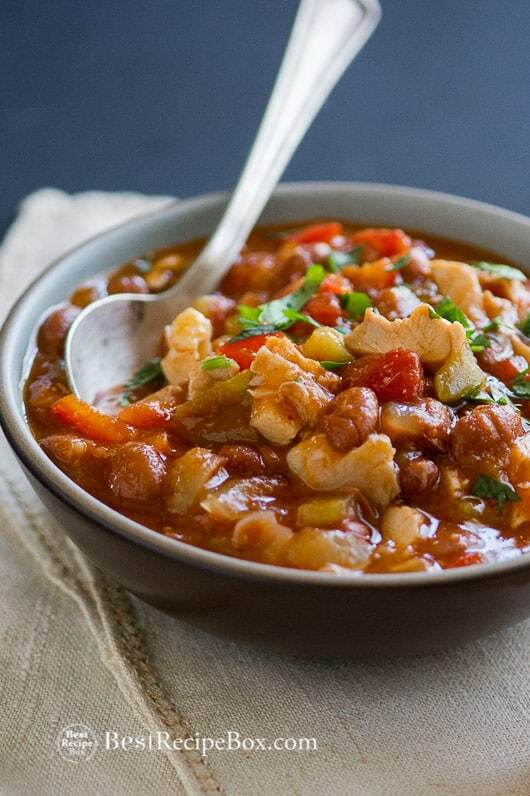 This quick chicken chili is made with leftover roast chicken. We always love planning our meals around roast chicken and in doing so, will roast about two chickens at the beginning of the week and use the leftovers for many other recipes. It’s one way to enjoy great roast chicken throughout the week in different ways. And this easy chicken chili is one of those recipes that we always look forward to making with the leftover oven roasted chickens or even with poached chicken. This is our to-go chicken chili recipe during our roast chicken week. 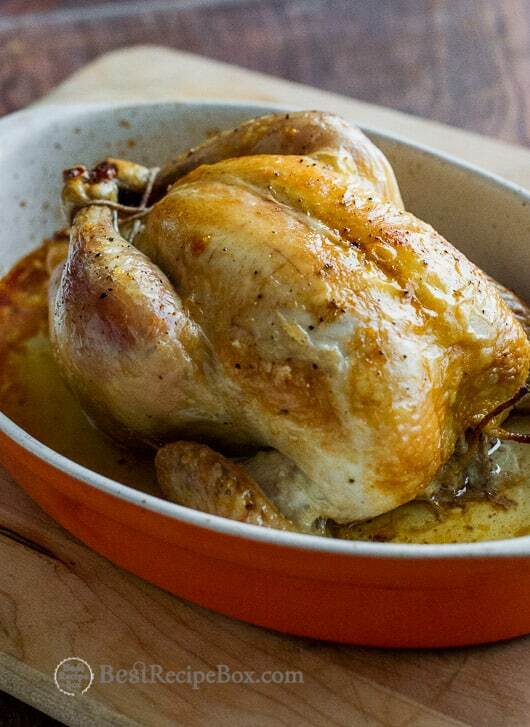 We'll roast whole chickens in the oven and save the leftovers for recipes such as this one. 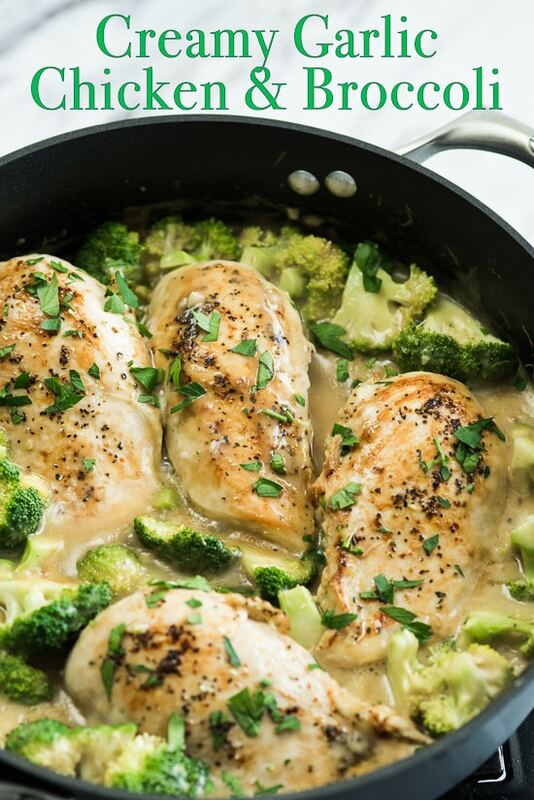 It's a great way to use up all the leftover chicken breast or even chicken thigh meat. Enjoy! Heat a medium saucepan over medium-high heat and add oil. Add onions and garlic and cook until slightly translucent, about 2 minutes. Add tomatoes and green chilies and cook for 2-3 minutes. Add beans, bell peppers, chicken, oregano, ground cumin, chili powder, paprika. Add water to your desired thickness (about 1/2 to 1 cup). Bring to a simmer then reduce heat and cook for 20-30 minutes. Season with salt and pepper to taste. For gluten free, do not serve with bread or corn bread. I’ve never had a desire to try White Chicken Chili, but I will be trying this very soon!! We always have these ingredients on hand! Your chicken chili looks fresh and comforting! Perfect for using leftover chicken (or even turkey, I bet)! This is great for whipping up after work! Thanks for the tasty meal!